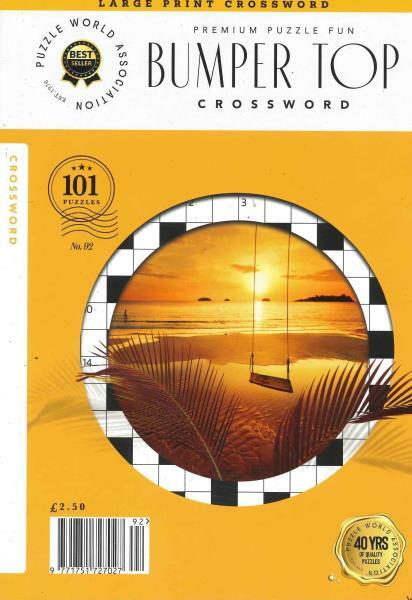 Bumper Top Crossword is a simple, down to earth bi-monthly that offers a wide range of entertaining crossword games that are informative as well as fun. Buy a single copy or subscription to Bumper Top Crosswords magazine. Now you can simply sit at home and yet not get bored, enjoy yourself with mind boggling puzzles, stretch your brain band a little more to recognize the clues and out them in correct places.